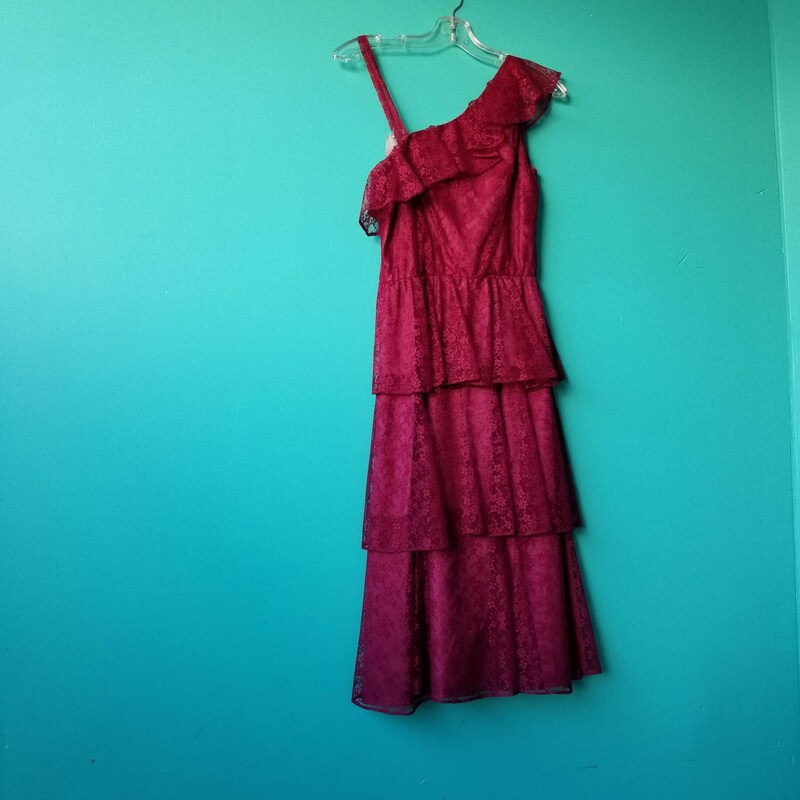 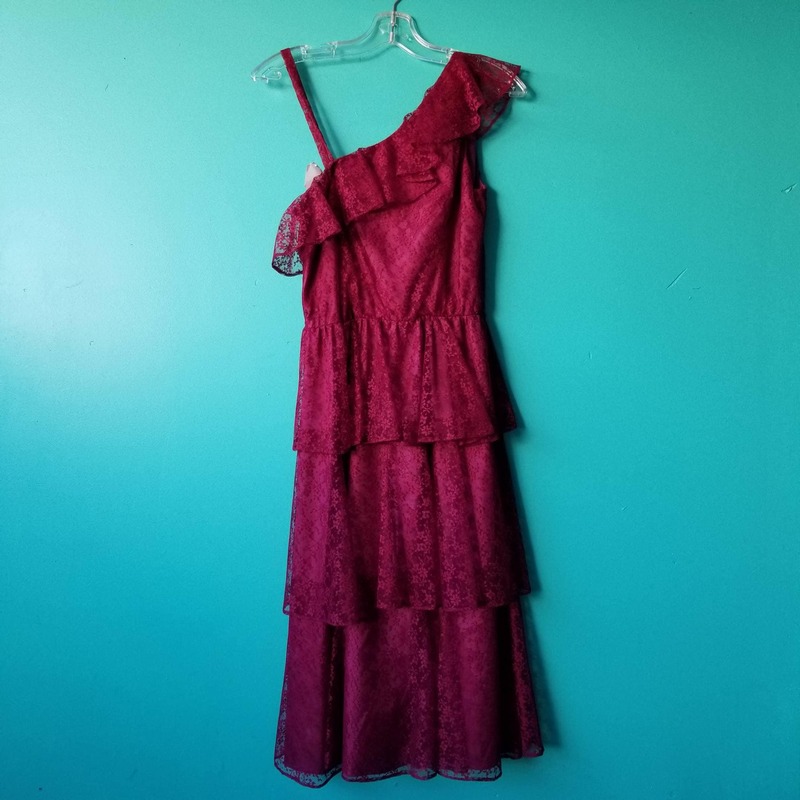 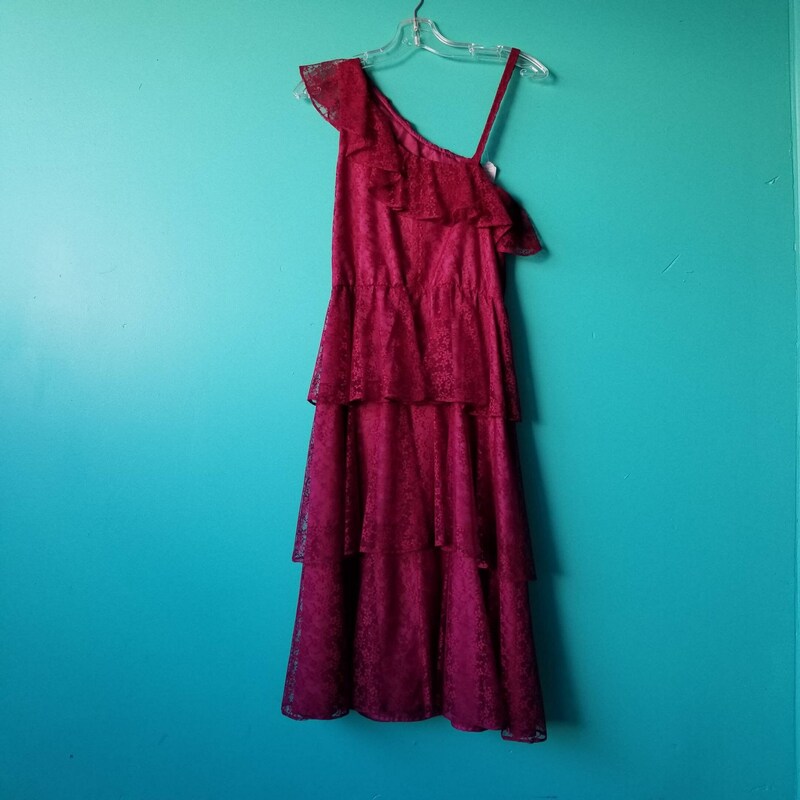 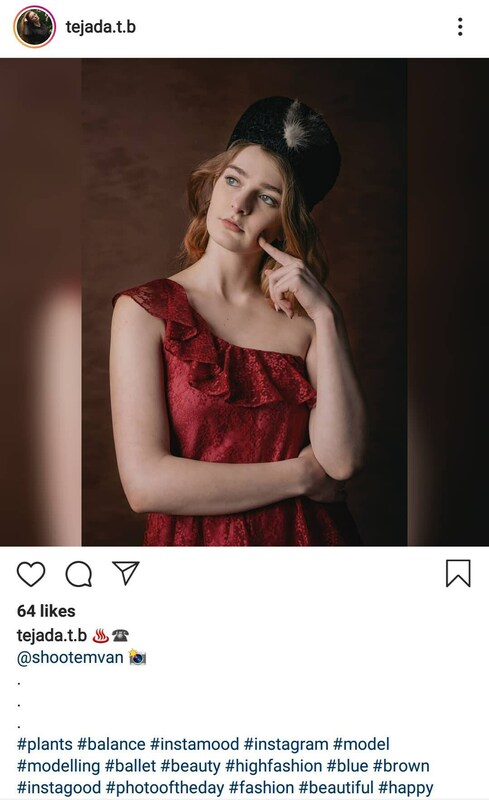 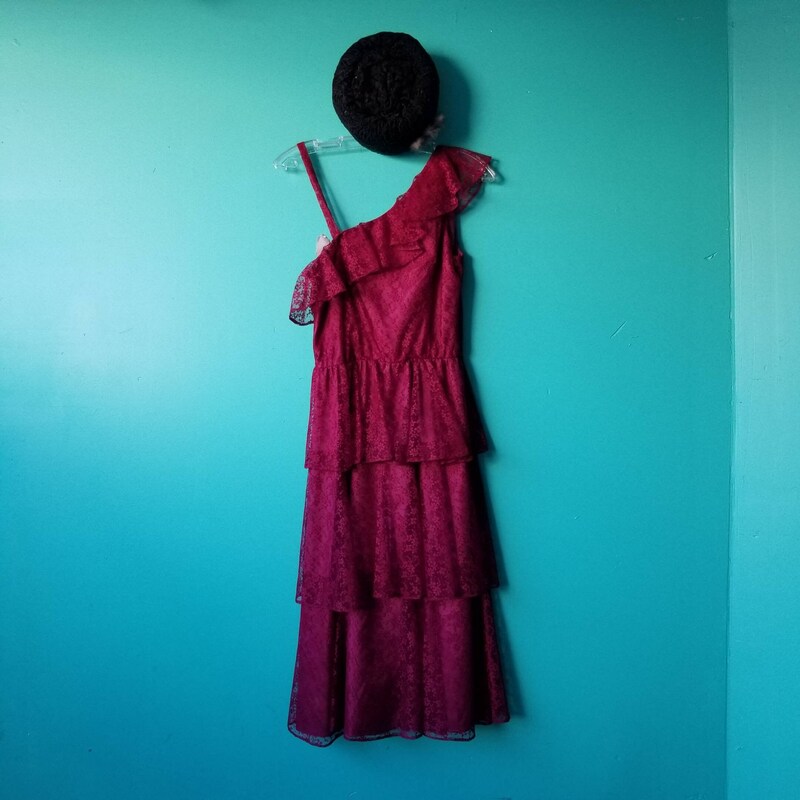 This dress is a lovely deep pink colour made with lace frills with an off the shoulder style but without the falling off style thanks to the shoulder strap to keep both sides in place. 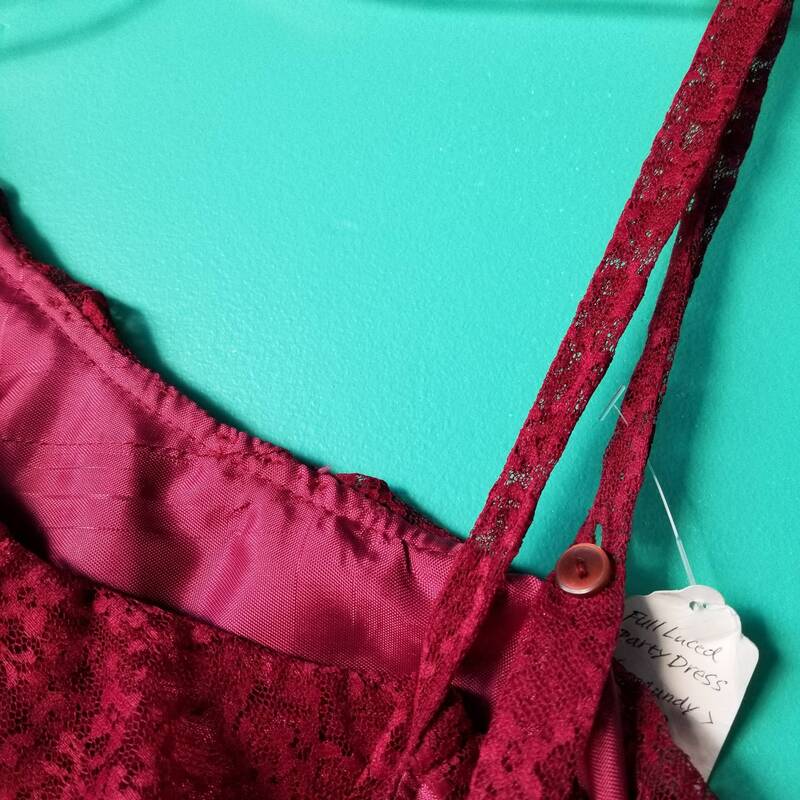 Made of polyester and in excellent used condition with no visible damage. 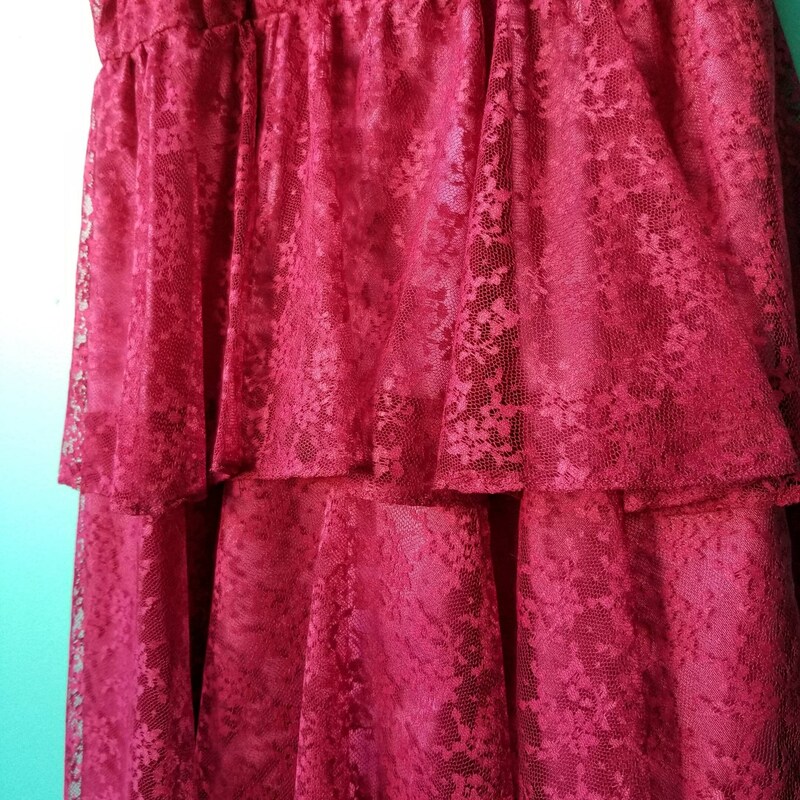 Small size would fit a size 4-6 or up to a small- medium.